With hurricane season quickly approaching, human resources professionals should prepare their organizations’ emergency plans now to ensure employees stay updated with crucial information and support, and to make sure business stays on track in the event we’re faced with another storm this summer. It is critical to encourage employees to update their emergency contact information in the organization’s system to ensure you have up-to-date phone numbers and other pertinent details on hand. At Gulfshore Insurance, we activate a secondary disaster hotline for employees only that allows us to convey critical messages before, during, and after a storm. If employees have cellular service, then they are able to call in to receive timely updates on the agency’s status of operations. A phone tree is another widely used method for communicating with employees, particularly if your organization has more than a handful of employees. While cell phone towers may go down and access to the internet or SMS capabilities may be affected, texting may provide one of the best options for staying in touch. Many organizations utilize an SMS instant-messaging system that allows them to notify employees about operations and other pertinent details. As such, it is important to remind employees about the need for extended batteries and backups in order to effectively use this system. Business, of course, goes on in the rest of the world and deadlines still loom. If you have any vendors outside the affected areas with employee deadlines you should start working with them to get an extension. Leadership and operations teams may want to pre-schedule call-in times and provide access to a conference line. The calls will allow you to effectively plan for business continuity and report on efforts to check in with your employees. Many of the activities HR teams will need to address in the immediate aftermath of a natural disaster will, in some instances, be things that have been prepared for ahead of time. As employees get back in touch, additional needs will be identified, but access to payroll funds and cash, as well as a sense of job security, are often uppermost in the minds of staff members. The first paycheck after a storm can be is critical for employees. Remember that if extreme power outages occur, not only will banks be closed, but ATMs will probably not work either–cash is king! Employees who have been displaced from their homes or have evacuated entirely may be anxious about job continuity even as they’re struggling with basics like getting access to food, shelter, gas, and clothing. Part of the communication prior to the weather event will ideally have provided employees with clarity around items such as pay continuity, use of PTO, or flexibility in the company’s attendance policies. As employees return to work, whenever that may be, they’ll still be dealing with numerous aftereffects. 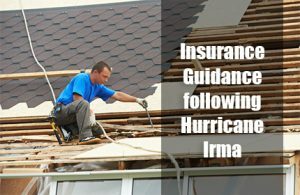 Providing consideration for additional time-off without penalty will be important to employees who must keep appointments with insurance adjustors, rebuild their homes, or find new living arrangements; this time may be with or without pay as appropriate and in alignment with the Fair Labor Standards Act for employers in the U.S.
Hurricane Irma’s historic size and impact have been felt throughout the state. In addition to its impact on Floridians and their property, Hurricane Irma has the potential to impact your insurance after the fact. It is important to make sure you have the proper coverage in place before accepting projects outside your normal scope of operations; leasing and operating new equipment; or hiring new sub-contractors. Below are several important post Hurricane Irma considerations to make. WORKERS’ COMPENSATION: Employees may be working extensive overtime hours or you may be hiring temporary sub-contractors. Consider increasing payroll exposures now so your work comp audit is not negatively impacted at year end. Be sure to break out overtime pay so that at the time of the premium audit, the auditor will be able to discount it back to straight time. If the auditor cannot readily break out the overtime portion, it will be used in calculating the premium. If undertaking or bidding projects outside of your normal scope of operations ensure you are aware of the appropriate class codes and rates for that work. Workers’ Compensation class codes are specific to the type of work being performed, and the rates can vary greatly. New or complimentary operations often require additional class codes being added to your WC policy. Make sure you’re aware if the new class code comes with a higher rate, so there will be no surprises at the year-end audit. EQUIPMENT FLOATERS & INLAND MARINE: Leasing & operating temporary equipment could put you at risk. If you lease temporary equipment, then you should verify the limits of your insurance coverage and possibly increase your coverage limits. Unusual equipment often requires special coverage. In addition, renting equipment with an operator will require proof of insurance for the operator as well. Some equipment, such as cranes or lift trucks with large booms require special coverage and needs to be discussed with your Account Manager or Client Advisor to ensure it is properly covered for weight of load, tipping, etc. In addition, if you are renting a crane with an operator, the rental company should be providing the coverage – for the equipment, employee (workers’ comp), and any associated general liability for operating the crane. Be sure to review the rental agreement with your Client Advisor or Account Manager to make sure that you are protected and that you obtain proof of coverage from the crane company. MOLD: Do not end up with a mold-related lawsuit; have the proper coverage in place. With hurricane related water damage, inevitably comes mold. If you become involved in any mold mitigation projects, make sure to have proper pollution and professional coverage in place. Without it, you will not be covered against claims from removal, disposal, or cleanup work. GENERAL LIABILITY: Policy exclusions may impact the scope of work you are taking on. For companies that have never worked on residential projects and might be taking on that type of work following Hurricane Irma, it is important to note that you may have policy exclusions that restrict your coverage. Sub-contractors may also have exclusions to their policies for residential, condo, or multi-family work, so it’s critical to verify there are none of these exclusions on your or your sub-contractors’ General Liability policy, prior to performing any of this work. It is important to discuss these considerations with your trusted Client Advisor or Account Manager at Gulfshore Insurance to ensure you have the proper protection. If you have any questions or concerns regarding this information, please contact us. We are here to assist you and happy to answer any questions you have. As the community works to recover in the aftermath of Hurricane Irma, so does Gulfshore Insurance. We are currently working to restore operations and hope to reopen our offices on Tuesday, September 12th. Our 24/7 Customer Service phone line remains open at this time. Please call our main line at (239) 261-3646 or (800) 793-5238 for assistance. If you have experienced a loss as a result of the storm, please be sure to read this important information and take the necessary steps to file your claim. As a reminder, you can report your claim directly to your insurance carrier. Click here to obtain the necessary information. Warning! Don’t Become a Victim of Insurance Fraud! An Assignment of Benefits is an agreement that transfers all insurance policy benefits and rights from you, the policyholder, to a third party such a contractor or repair vendor after damage has occurred to your property. An AOB is intended to help expedite the claims process and make things easier for the insured, but oftentimes, and AOB is fraudulently misused for repair vendors to seize control of the claims process with the intention of overcharging and inflating repair costs, often while keeping the insured in the dark. We recommend never signing an AOB and transferring your benefits to a vendor. If you have experienced damage from the Hurricane, please call your insurance company first or contact a member of our team. We are here to help! We are here to serve you, our client. Please advise us if you are having difficulty with your claim so that we will be in a position to assist you. Do not hesitate to get in touch with us about any questions you may have concerning a loss. You can reach us at (239) 261-3646 or (800) 793-5238. Due to Hurricane Irma, Gulfshore Insurance’s offices will be closed as of Friday, September 8th in preparation for the storm’s arrival. We will reopen as soon as it is safe to do so. Our 24/7 Customer Service phone line will remain open during the storm. Please call our main line at (239) 261-3646 or (800) 793-5238 for assistance. Gulfshore Insurance will continue to provide updates to the community via our website, Facebook & Twitter accounts, and through media broadcasts as needed. In the event a loss occurs, you can report your claim directly to your insurance carrier. Visit the link below to obtain the necessary contact information. We recommend you print this list of claims phone numbers to reference in the event you are unable to access this information electronically after the storm has passed. Warning! Don’t Become a Victim of Insurance Fraud! Do NOT Sign an AOB Contract! While forecasts may change, we want to assure you that our Claims Advocates, Client Advisors, and Service Teams are standing by to assist you as needed. You can reach us at (800) 793-5238 or gsi@gulfshoreinsurance.com. Please stay safe if you are in the projected path. “Call for the generator and kick into business continuity alert mode – a category 5 storm is expected to hit Naples on Thursday.” Word of a Hurricane spread quickly, but did not come from the National Hurricane Center or The Weather Channel. 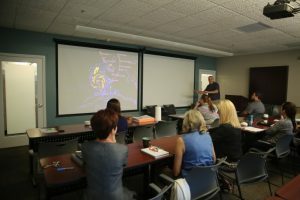 Rather, Gulfshore Insurance announced internally that “a three-day agency-wide disaster preparedness drill designed to simulate a major hurricane in our area” would be held May 24-26. Life has taught us that practice makes perfect and that it probably is unreasonable to expect everything to be orderly, sane, and fully functioning during or after a disaster. That is why Gulfshore Insurance hosted a multi-day, department-wide, hurricane readiness drill to intensively prepare the agency to deal with the effects of a major storm. The exercise was in preparation for the start of the Atlantic Hurricane season, which began June 1st.